Part Mission and part Gas Electric, another 'Up and Down' period authentic reproduction of a vintage lighting fixture. Available with optional lower on/off switch built in. An incredible piece! Complete with realistic gas key, this model offers plenty of light when you need it and an outstanding design! 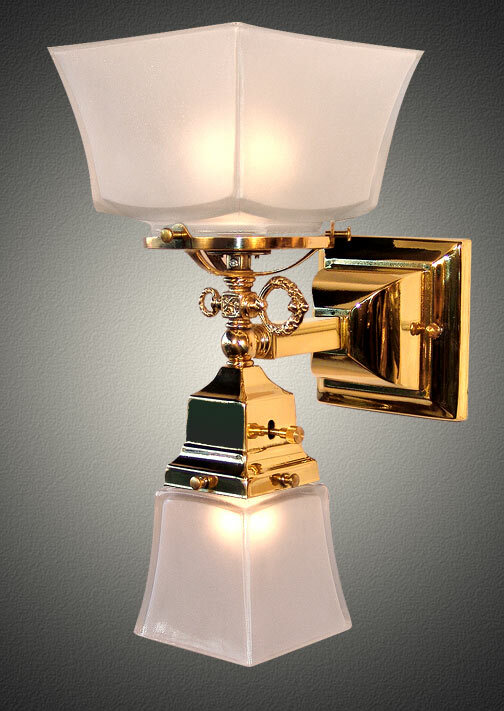 Pictured in shiny polished brass with squared glass shades. Solid cast brass construction.